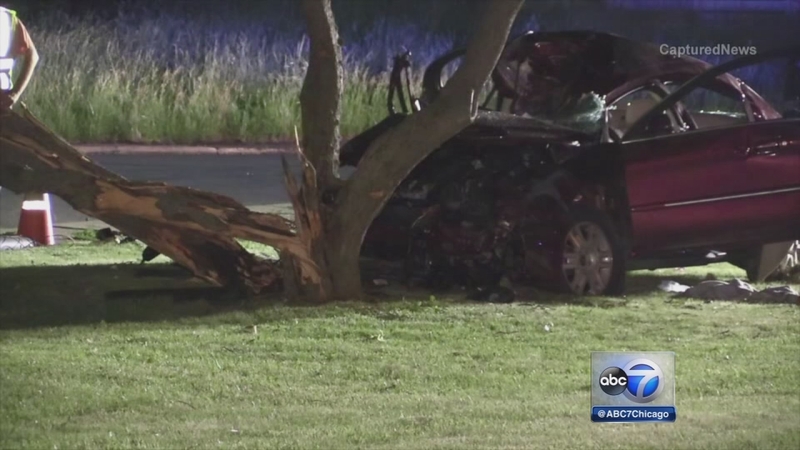 PARK FOREST, Ill. (WLS) -- A man has been charged after police say he caused a south suburban car crash that killed two teens then fled the scene. Two boys, ages 15 and 16, were killed in the Park Forest wreck. Jonathan Hurst, 22, of Country Club Hills, later went to St. James Hospital in Chicago Heights. Police say when he arrived at the hospital, he did not report the crash. Hurst was treated at the hospital for minor injuries. He is charged with two felony counts of reckless homicide, two felony counts of aggravated driving under the influence of alcohol involving a crash resulting in multiple fatalities, and one felony count of leaving the scene and failing to report a fatal crash. The car involved in the crash was reported stolen on June 1 from Ford Heights. A Park Forest police officer noticed it speeding on Western Avenue overnight. By the time the officer caught up with the car, it had plowed into a light pole and tree near the intersection of Western Avenue and Algonquin Street around 12:30 a.m. Wednesday. "She observed a subject running to a side street from a distance and was calling for assistance, then noticed two victims in the vehicle," said Park Forest Police Chief Peter Green.